Inspired by candlelit meditation practice in Hatha yoga, I tried to explore more on how the flickering, color and brightness can effect on one's mental state. Using Arduino, neo pixels, OpenBCI Ganglion, Neuro Candle is a meditation guide that shows one's mental state with it's brightness and flickering pattern. 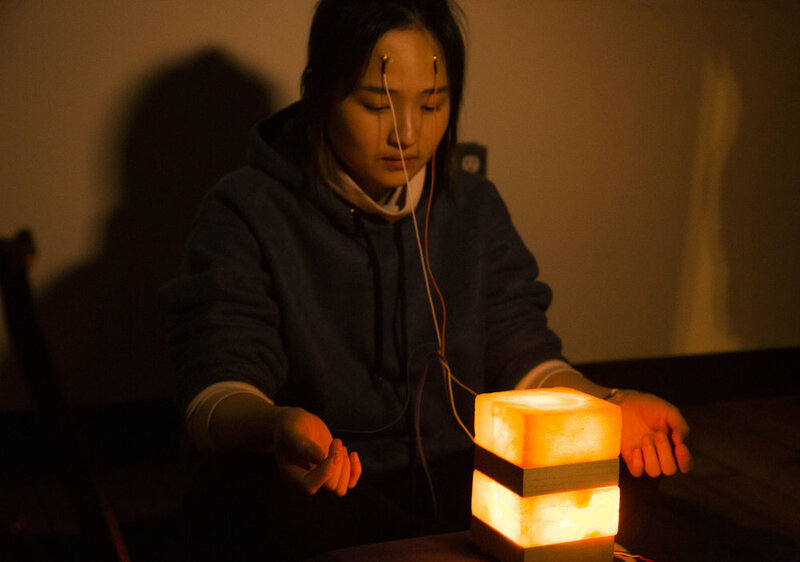 The openBCI ganglion broad is collecting brain data and pulse, visualized mental and physical state using flickering and brightness of the neopixel. The more focus meditation is, the less flickering and brighter there will be.